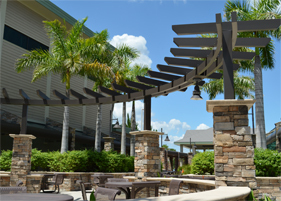 Sunshades and covered walkways not only look great on hotels, but they also provide a number of practical benefits for patrons and employees alike. 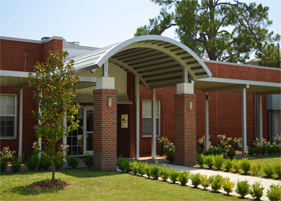 If you want to protect your clientele from the elements, whether that means installing sunshades, or utilizing covered walkways throughout your property, you have a number of options available to you. It’s summertime, and hotels are likely flooded with guests who are looking to enjoy their vacation on the hotel property. What better way to enhance a guests’ hotel experience than to install covered walkways and sunshades? As a guest, you likely won’t want to spend your time walking through the resort in the blazing sun (or pouring rain! ), or relaxing out by the pool without the option to move under a covered area. 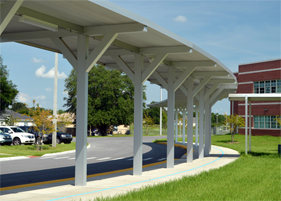 The benefits of a covered walkway outweigh the cost. These days, sunshades are available that will offer you complete protection against the UV rays, and utilizing them at a hotel resort will give a reason for guests to make a reservation. Guests are spending more time outside of their hotel room utilizing other perks of the property including outdoor dining areas, pool bars, and other areas of the resort that are accessible to guests. Covered walkways can connect remote areas of the hotel to other parts of the property. Hotels also commonly have areas throughout the exterior of the property for guests to park and unload their luggage, an ideal opportunity to place a sunshade or covered walkway in the area to direct guests into the building. Sunshades offer commercial businesses the ability to improve curb appeal and enhance a guests’ experience. 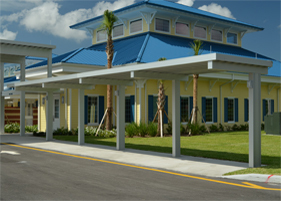 At Perfection Architectural Systems, you can design a sunshade or covered walkway to fit the needs as well as the aesthetic visions of your business. 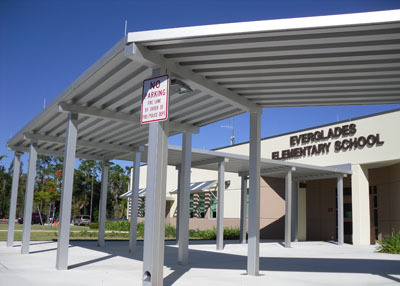 Call us today at 800-238-7207 to learn more about our walkway covers, canopies and sunshades, and the services we offer.